Hanoi (VNA) – Trade unions of the Presidential Office and the Government’s Office have raised funds in support of north-western provinces hit by the recent floods and landslides. The donation has been channelled through the Vietnam Fatherland Front Central Committee. Vice Chairman of the Presidential Office Bui Truong Giang said the fund aims to help victims of the natural disasters restore production and soon stabilise their lives. On August 7, a delegation of the National Assembly led by Vice Chairman Do Ba Ty, along with Minister of Labour, Invalids and Social Affairs Dao Ngoc Dung and Son La province leaders, visited flood victims in Nam Pam commune, Muong La district, and those who are under treatment at Muong La general hospital. Ty asked local authorities and competent forces of Muong La to promptly search missing people and help locals stabilise their lives. On the same day, the Ministry of Information and Communications sent two delegations to Yen Bai and Son La provinces to visit local flood victims. 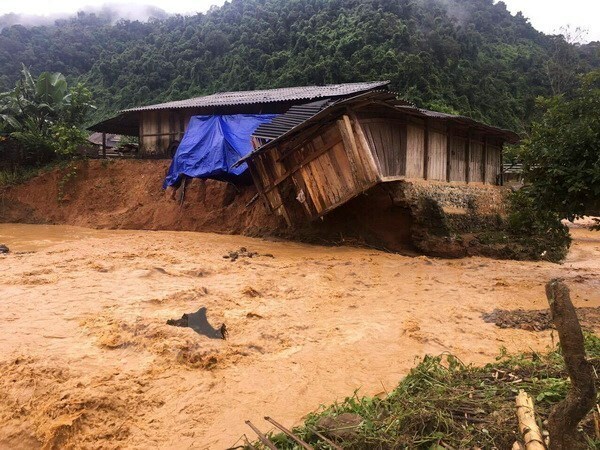 Recent heavy rains and flash floods have taken the lives of 26 people and left 15 others missing and 27 injured in northern mountainous provinces.